The Mariners were giving another one of their fine offensive performances tonight, getting just 3 hits over a span of 7 and 2/3 innings. With two out in the bottom of the seventh Ichiro made it on base on an error by Jeremy Guthrie who was phenomenal all game. 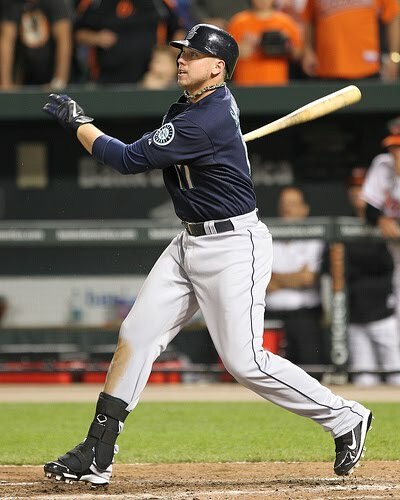 With Ichiro aboard, Brendan Ryan followed with a single to bring up Justin Smoak. Do I have to go on? Smoak hit a 0 - 1 pitch, a changeup from Guthrie deep to right field. There was no doubt about it from him or anyone in the stands, it was gone!!! For a team still struggling to find offense, they have continually found ways to win baseball games. Tonight, your hero is Justin Smoak. Erik Bedard pitched a great game giving up 2 runs on 6 hits through 6 and 1/3 while striking out 7 batters. All in all he did great. One run came in the 6th on a double play ball with no outs and the other on a Matt Wieters homerun. The winning pitcher in tonights game was Chris Ray, after coming in and making things more interesting, he ended up closing out the 7th after a walk and a hit loaded the bases and going 1,2,3 in the eighth. Brandon League came in in the ninth inning and shut it down once more. That gives him 15 saves, 6 in a row after his recent fall from grace. He is now back to being the savior. This give our Mariners another series win and gains massive ground in the AL West as everybody else lost in the division. Just a half game out once again from that first place position and standing alone in second place behind the Texas Rangers. Can you believe it??? As a fan I was getting ready to fume about the irritating offense and the lack of being able to hit a baseball, but after watching that Justin Smoak homer, I'll hold onto it. We just continue to get it done night after night. This team is something special. We pass the ball to Pineda tomorrow to sweep the Orioles out of town and look toward the Tampa Bay Rays. With how we've been going about things, I can only assume we keep getting better. Oh..... I almost forgot......thanks to Chone Figgins for taking a rest. You must be reading what the fans are saying. Come back strong buddy!!! Go Mariners!!! !